November 2015 - my name is Food. Soup Restaurant in Plaza Indonesia is one of the must go restaurants I guess when you're here. It may not be one of the best known Chinese restaurant as there are many competitions around but I feel that they have character and good service which is always a tick when you enter to dine. 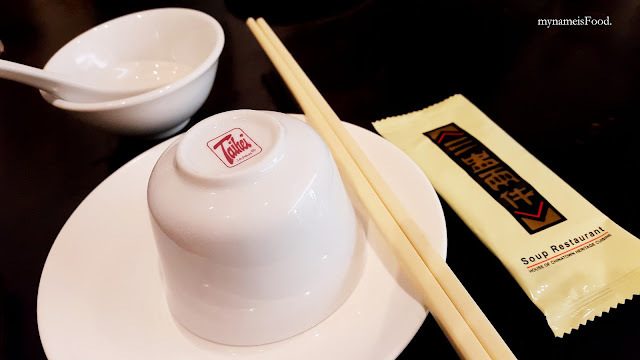 Having the influence of Chinatown in the 1930s, the Samsui Lady would look forward to her daily ritual of a simple meal with her sisters from her hometown which made it a treasured moment to remember. Her legacy passes on leading Soup Restaurant to have the Samsui heritage, bringing their heirloom recipes of authentic Chinese Heritage Cuisine which takes you back in time..
Having Chinese Braised Peanuts is always a delight to have before a meal..
'Minced Beef with Salted Vegetables' (IDR60rb - AUD$6) is a simple dish but lovely to eat with warm rice. 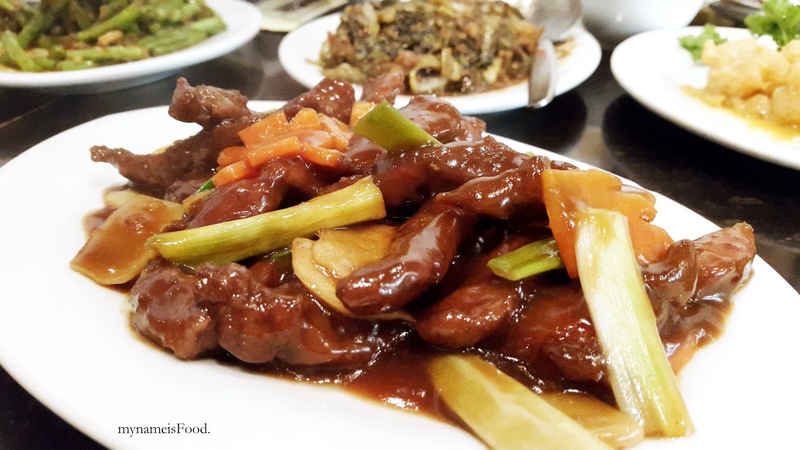 Seasoned minced beef stir fried with salted vegetables, the seasoning was on point, the salted vegetables was not too salty with overpowering the minced beef. It had a nice texture and taste overall. 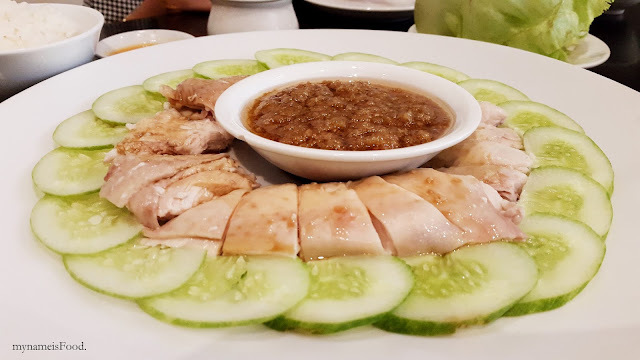 The must-try dish in this restaurant is definitely this.. 'Samsui Ginger Chicken' (Large: IDR190rb - AUD$19). There are two sizes you can order this dish in, a Small and a Large in which we ordered their Large size. A traditional Samsui dish where it has been said were only consumed once a year during the Chinese New Year. 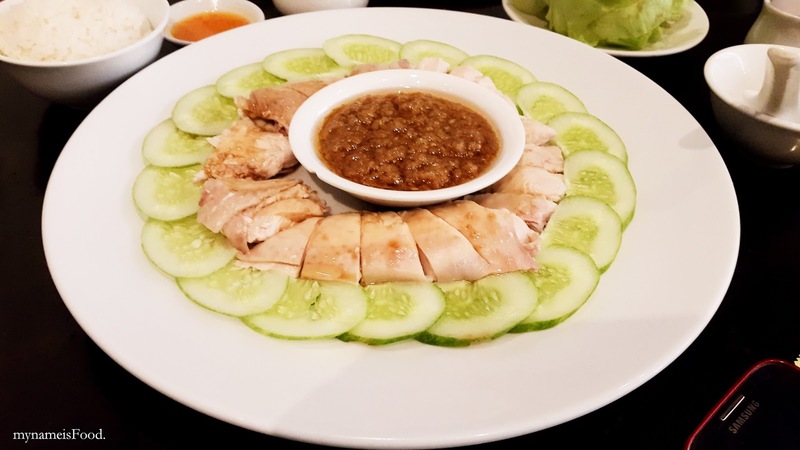 The whole chicken is steamed at a specific duration and temperature allowing it to maintain its rich aroma and taste. 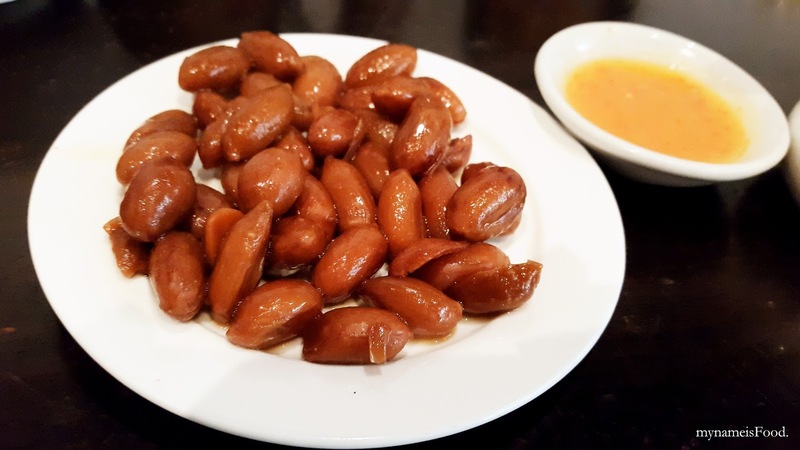 Having robust flavours that burst out oily goodness, when you eat this, it might just melt in your mouth somehow or another.. 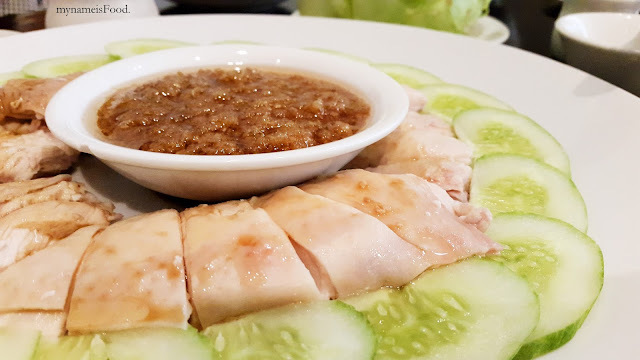 Pick up a piece of the meat, a spoon of the ginger dip, a few cucumber slices and simply wrap it all up in a piece of Iceberg Lettuce and Oh, it's heaven.. You will be able to get the crunch of the lettuce and the fragrant, tasty chicken along with the ginger and sesame oil dip. The ginger dip in the middle is placed in a seperate saucer with sesame oil allowing to remove excess wind from the body as believed by the Chinese. 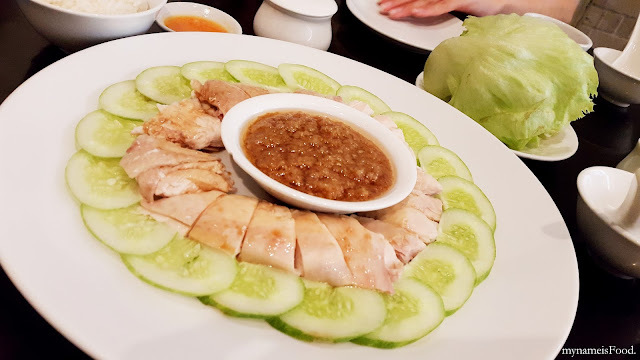 The cucumber slices is fresh giving the whole dish that extra freshness but the highlight of the dish is the chicken and the ginger and sesame oil dip which was delicious to eat. 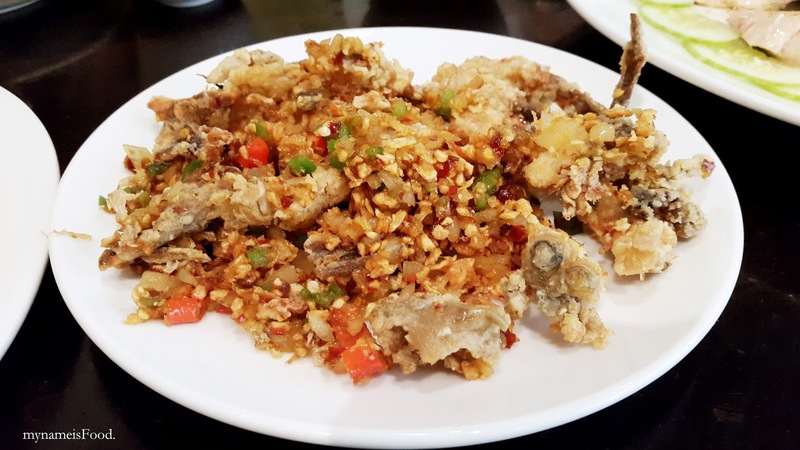 'Salt and Pepper Soft Shell Crab' (IDR90rb - AUD$9) is another favourite of mine but also because I'm a huge Soft Shell Crab person. There is Black Pepper and also Cereal versions of the Soft Shell Crab but I feel like they all deliver different elements on the table in which if you wanted something saucy then choose the Black Pepper, if you like a crispy but fragrant dish then choose the Salt and Pepper and if you wanted something different and crispy, then Cereal it is. The Salt and Pepper was quite strong and with the combination of red and green capsicum made the dish more colourful. 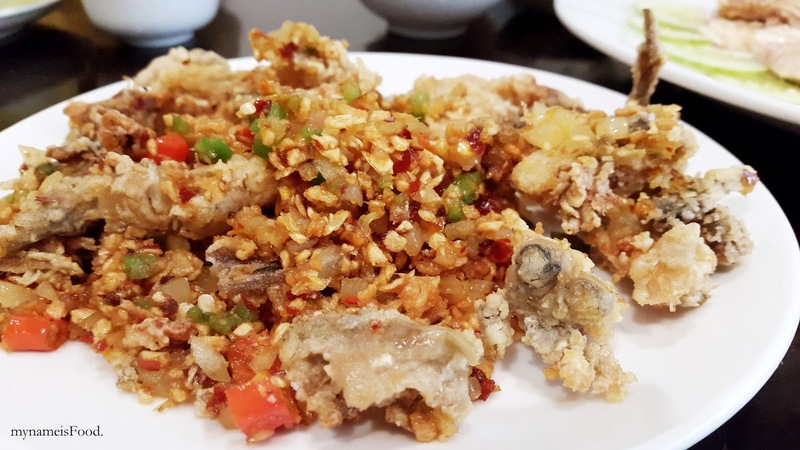 The Soft Shell Crab was cooked perfectly and allows the Salt and Pepper to compliment the crab well. 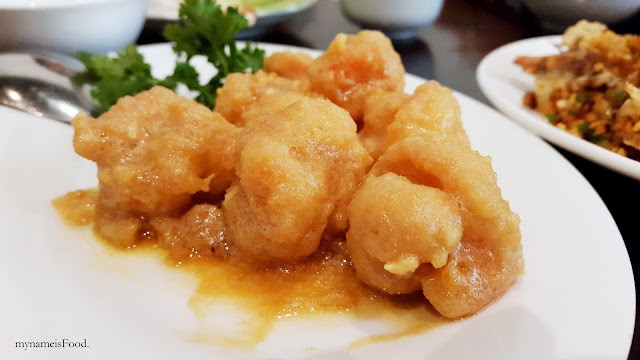 Another thing I have a huge sucker on is anything with Salted Egg but usually either Soft Shell Crab or Prawns are usually the best combo really.. 'Salted Egg Yolk Prawn' (IDR78rb - AUD$7.8) is a delicious, buttery, salty dish but allows you to also taste that softness and texture of the well cooked prawns. 'NZ Venison Fried Ginger and Spring Onions' (IDR125rb - AUD$12.5) is a dish you might not be able to get anywhere or easily in other restaurants. Venison, for those who aren't familiar with the meat, is the meat of a game animal which tends to be the meat of a Deer. 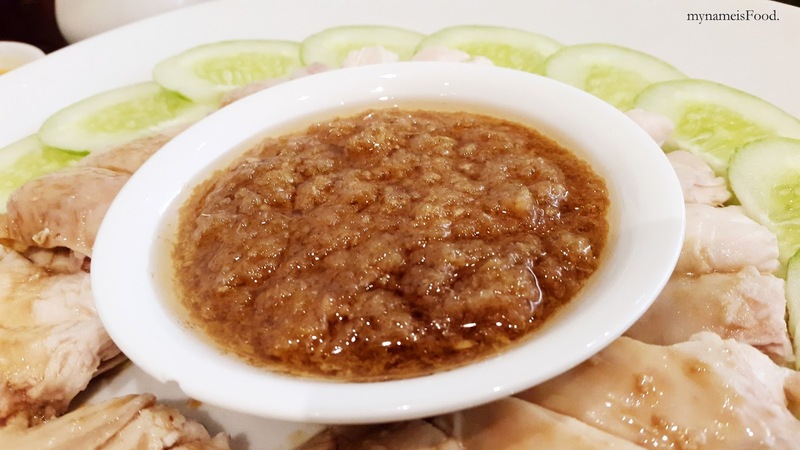 So if you would like to try and taste what a Deer meat would be like, then come here and have a try.. Don't cringe yet just by hearing it, but it might surprise you with its tenderness and how lean the meat is when eaten. Quite different when compared to your usual Beef meat. 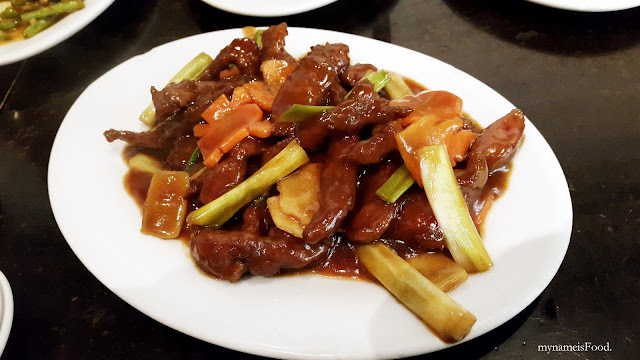 With a dish that contains Venison, I feel that you don't need many elements to accompany it so fresh ginger and spring onions, some carrots did it for me fully. It showcased the meat more allowing its flavour to shine out. 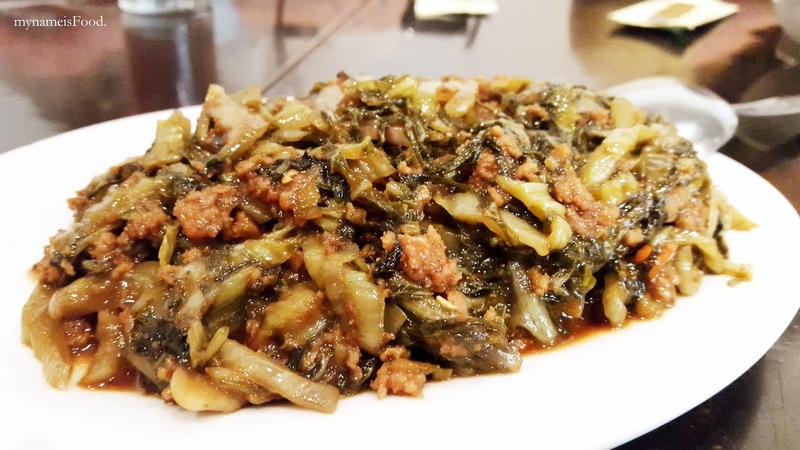 'Sambal French Beans' (IDR55rb - AUD$5.5) is another simple dish that just needed to be there to compliment all the other dishes ordered. 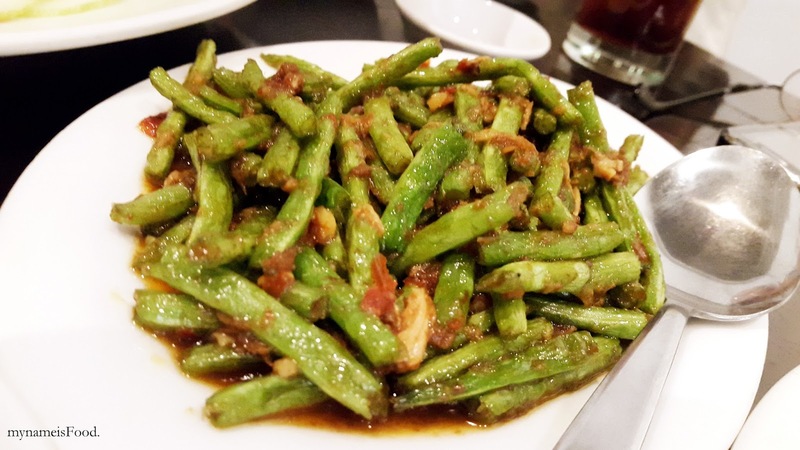 Fresh french beans stir fried with a spicy savoury homemade sauce. I found it not spicy at first but after one bite, the spiciness gets me... and you guys know, I'm not a big fan on spicy food. The French Beans were cooked well although it might have been too mushy for some or they may have left it on the pan for longer than they should. Ribs and Rumps in Fortitude Valley is a place I hardly go to for ribs and I'm unsure why. My usual ribs is always down at the Gold Coast and sometimes I would try ribs in restaurants but none has topped my favourite yet. Coming here for a friend's birthday dinner, it was very packed that night with people bustling on both floors. Located near Emporium, it was convenient if you wanted to go for dessert or coffee afterwards too. Mr Bap is located in Pinelands Plaza where Nandos, Shalom, Toppoki 88 and Coles etc are at. I didn't realise there was a Korean BBQ restaurant in the complex but I always go past the shopping complex everytime I go to one of my favourite sushi spots. A friend of ours had suggested to come here and so here we are.. It was quite empty when we entered for lunch, with only maybe a few tables were filled while we were there. Michel's Patisserie has just launched a new fun way to create your own cake with your own designs. There are only a few steps to follow, choose a pick up place and date and when the day comes, just simply pick it up from your preferred Michel's Patisserie store. When Michel's Patisserie offered the chance to review the cake, I was quite excited as it sounds fun to do and I have tried a few of their cakes before in which I enjoyed eating.